Hello, everyone! I at KFC for dinner. It might sound a little strange in Japan as KFC is more for lunch. Anyway, wen went there because we were out. Because we went to get a haircut. 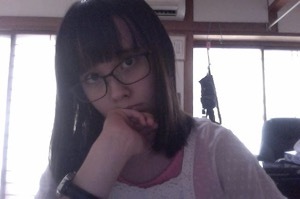 Kate Sensei is playing Rocksmith now, so I will put my photo first. I can see her eyes better, so I like it. Will you get a haricut before this summer is over? If you do, it will feel a bit cool. Today, I played the new Rush II DLC for Rocksmith! I am uploading now, so I hope you get a chance to watch later. 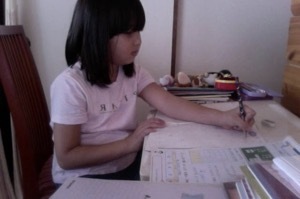 Today, I wanted to write about Kate studying math. 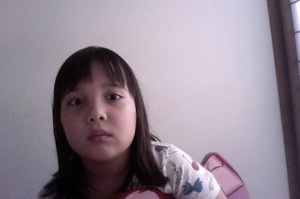 She is already finished with her summer vacation homework. So, I gave her another workbook. I used it when I was in 2nd grade. I wrote my answers in my notebook, so I told Kate she can just write the answers there. She is solving them and it seems easy for her. I was hoping it would be difficult because she is pretty funny when she gets angry. Well, this is just a review from 1st grade. From next page, it will all be 2nd grade. Hope Sensei does well. Kate has a tendency to do well she understands, when she doesn’t, her attitude becomes very very bad. Well, I will study too. See you tomorrow! Hello, everyone! It’s sunny today. I am going to write about my hair today. Maybe too long in the face. 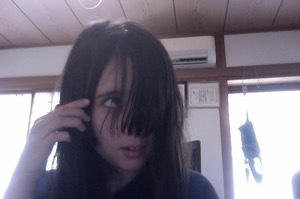 Anyway, I was thinking of just cutting my bangs. Since it’s so hot, I might get my hair shorter overall. Please tell me what you think. It’s sunny and I am doing well. It feels a tiny bit cooler than usual. As Kate Sensei said in SUPER NEWS #8, I will go to SF in October to play guitar as a headliner for the 5th anniversary for ROCKSMITH! 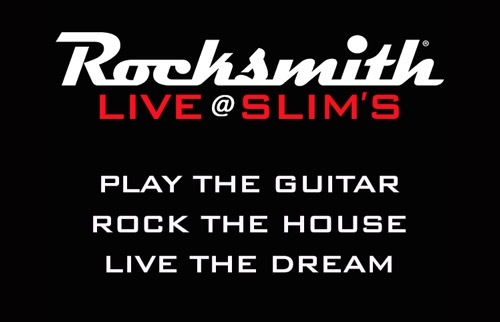 On October 20th, there is a special 5th anniversary ROCKSMITH Live. Ubisoft SF asked me to come to SF with my family and we will be there! I am a special guest/headliner for this event! AMAZING! What will I play? I am practicing now. Please stop by, if you can!